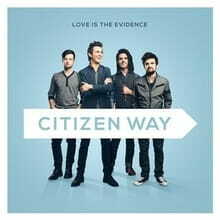 Breaking onto the Christian music scene with their debut album, Love is the Evidence, new band Citizen Way has proved they are the artists to watch. Recently, I was fortunant enough to chat with the band's own Ben Calhoun via email about the band's latest project and how God has blessed their music. How did you guys first come together? We grew up serving in church ministry and Christian music was a significant source of inspiration and guidance for us. I learned to play guitar from my youth pastor and the other guys also come from musical backgrounds. We formed Citizen Way when we were attending college at Judson University in Illinois and to this day, we still practice at the studio I helped build on campus! Why did you decide to name your band “Citizen Way”? CITIZEN WAY means that we are citizens in the kingdom of God following in the way of Jesus. The best thing about our name is that it represents more than just us as a band, it also represents the bigger picture. What did you hope to accomplish when you first set out to make this album? To honor the Lord by making the best art we could with the team around us in the timeframe we had (3 weeks). It’s honestly the best record we’ve ever done (we put out two before under a different band name). We are extremely proud of this record and we made great friends in the process! What would you say has been your biggest inspiration throughout this process? Life. Being a Christ follower, husband and father. The timeless truth in the Bible. Matthew 6:33 states “seek first the kingdom and His righteousness, and all these things will be given to you as well.” The “all these things” is God’s provision and that truth is at the foundation of every inspired thought I have. My friend Joel Hanson (lead singer of PfR) gave me a good piece of advice: ‘write what you know’. Every song was inspired by my life through the lens of God’s word. On the flip side, what has been the biggest challenge? For the album, it’s making sure everything gets done on time. For the band, it’s being away from our families while on tour. We are all married and Ben Blascoe and I have children. Our time at home is valuable. Our wives are a part of our career decision making process and we all have to sacrifice and succeed together. We don’t want to lose our families for the sake of “ministry.” In order to balance it correctly we have to walk with Jesus and learn how to be sensitive to His lead. That is real success. Is there any track on the album you’re particularly proud of? I love them all! One in particular, All Things was inspired from a couple things. The first part was from when my daughter Ava and I met a homeless lady in the park. She told me she was thankful for what she had. She had nothing. I gave her some money, a new backpack, and my contact info. She called a couple of weeks later to say thanks and that she found a place to stay. The bridge of the song was written in response to a friend battling Leukemia and our friend Craig from KLOVE who told me about his sons being on a missions trip when the van broke down. They sang songs on the side of the road and thanked God because the Bible says in 1 Thes. 5:18 to “give thanks in all circumstances; for this is God’s will for you in Christ Jesus.” This verse is hard to act on, but it’s such a great reminder to be thankful in all circumstance, in all things. I’ve been told some of your songs have stories behind them. Could you give me an example? A true story of when I was leading worship at a camp and we asked the kids what all they had learned from the week. During the camp we had taken them on a crash course from Genesis to Revelation and the stations of the cross. I’ll never forget, there was a kid there who responded and simply said, “I learned that it should’ve been me.” I thought, what a pretty profound thing for a 13-year old kid to understand the gravity and weight of what Christ did for each of us on the cross. It really moved me and this song came from that conversation. Was written for our friend Wendy who went to be with Jesus at 19 years old. Wendy had asked us to play at a missions fundraiser, but a few days before the event she was killed in a car accident. Instead of doing the fundraiser, the church held a memorial concert in her honor. I wrote this song and sang it at the memorial. What are some ways God has blessed your music? I’m being completely honest here there is nothing we’ve done that was done without the hand of God orchestrating it all. The things we’ve done on our own strength didn’t amount to much and what success of failure they had were still used by the Lord in ways that only He can. Particularly, we try to take every opportunity to point people to Jesus through the truth of God’s word. The Bible says in Isaiah 55:11 “my word that goes out from my mouth: It will not return to me empty, but will accomplish what I desire and achieve the purpose for which I sent it.” When we walk with Jesus and sing songs inspired by God’s word it then becomes the work of the Lord and we simply get to be a part of it. That’s the blessing. It’s more fun that way too! It’s safe to say Citizen Way is a Christian band. How else has your Christian faith impacted your music? Yes and we’re very proud to serve in the Christian music family. We all grew up in Christian music, it’s part of who God made us to be. Everything we do as a band is filtered through the lens of Micah 6:8 that says “do justly, love mercy and walk humbly with your God.” As we’ve done that, this is where He’s led us. It’s way better than wandering through a career on our own. Was there anything God taught you while making this album? Rom. 12:2 “Be joyful in hope, patient in affliction, faithful in prayer.” As Christ followers, with our platform, we have the responsibility to represent Jesus and what the Bible says. We’ve been together as a band for quite some time now and if we continue to live by verses like this we’ll be alright. We also learned, again, how awesome our families and friends are. They each have a brick in CITIZEN WAY’s foundation with their name on it! What is the one thing you hope listeners take away for this album? John 3:16 “for God so love the world...” That’s the best thing we could hope for; to have people respond to this verse through whatever we do as a band. I hear you are touring with Big Daddy Weave, what was that experience like? Stellar. Amazing. Memorable. Awesome. One of a kind. Sincerely, it’s been transformational. We’ve been out on this tour for 3 months with BDW, Chris August and MIKESCHAIR. We drove something like 65,000 miles, killed and our van in Montana! We saw some beautiful parts of the country and we made friends everywhere we went. We prayed with people in the front of the stage at the end of every night and saw God at work. We struggled with no sleep and long hours in the van and our families were stretched and strengthened in new ways. We look forward to going out with these guys again! !